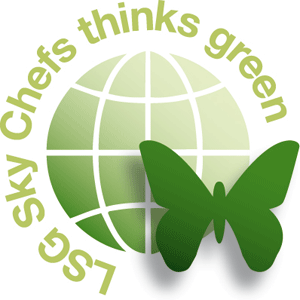 Protecting our environment is an important part of LSG Sky Chefs’ corporate responsibility. Sustainability, of course, does not only refer to taking care of the environment, but to all aspects of being socially responsible. This also includes how we treat our employees and how our business is managed, with the aim of ensuring the long-term responsible care of our resources so that we can remain a stable and successful corporate citizen. Being environmentally-friendly does not only constitute a moral obligation, especially for organizations in the global aviation industry, it also presents numerous benefits. And as passengers and the public in general become more environmentally conscious, airlines and suppliers can improve both their image and passenger satisfaction levels by acting more responsibly. Please meet Walter Vreden, Director Environment and Work Safety at LSG Sky Chefs. Walter has been with our company for almost three decades and has been developing and implementing our Environmental Management System including our Environmental Policy, published in 2008. LSG Sky Chefs has been the first in-flight services provider to publish such a comprehensive policy. And our commitment continues to remain strong and focused. Walter will shortly start blogging about our Corporate and regional environmental activities. So watch this space!